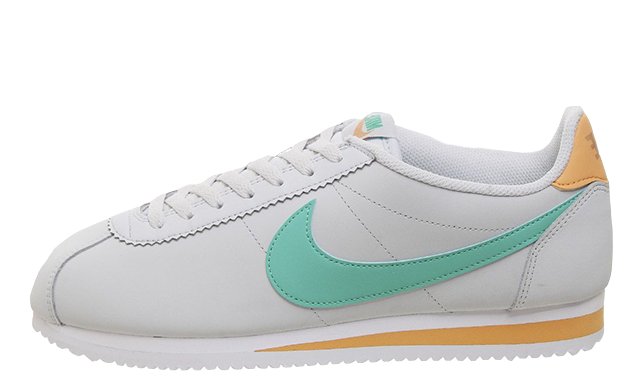 Here we take a closer look at the refreshing sneaker that is the Nike Classic Cortez White Jade Orange. Taking a classic silhouette and making it contemporary through the use of colours on the iconic 70’s runner sneaker. 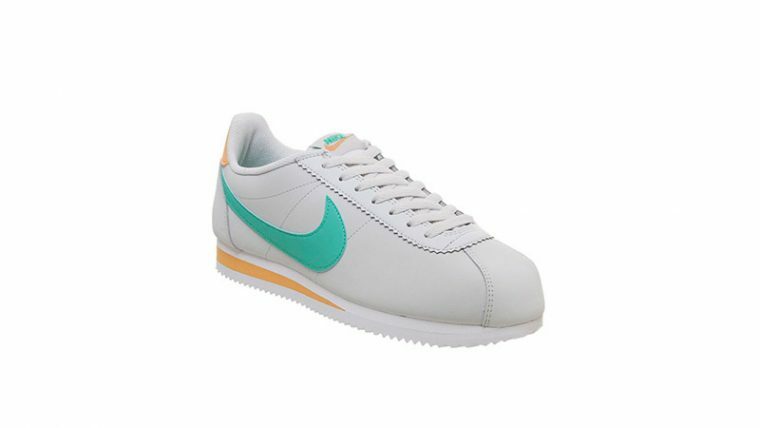 Created with a pale grey base, this Nike silhouette shows off a contrast with a teal blue oversized Swoosh to the sidewalls of the Cortez, joining at the back where a bold orange/yellow panel shows off Nike branding. 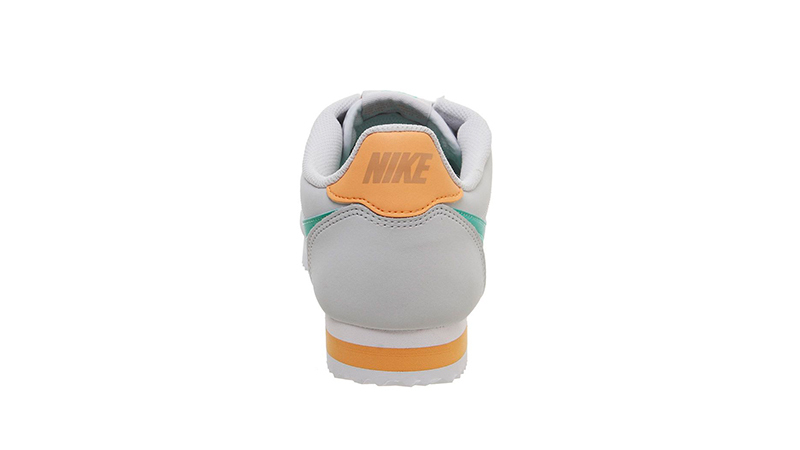 Below foot, a foam midsole features the usual serrated sole detailing, with a matching yellow stripe through the heel section of the Nike Classic Cortez White Jade Orange. 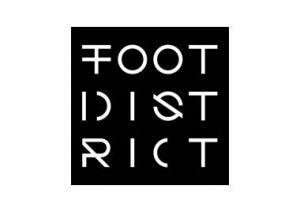 Finished off with tonal laces and a padded inner for an all day comfort and lightweight support. The Nike Classic Cortez White Jade Orange is available right now via the retailers listed on this page, so be sure to head to the links to cop your pair today! 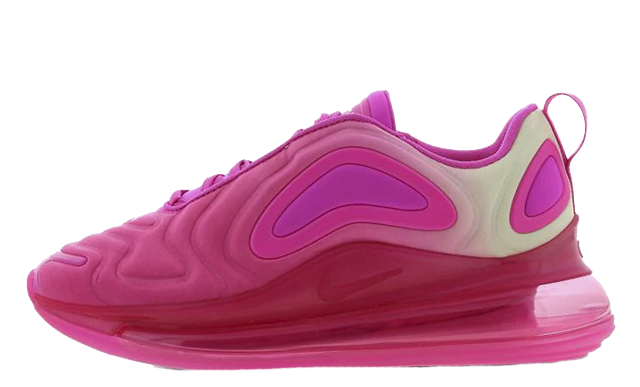 You can find more Women's Nike Cortez Trainers Release Dates here!